Energy poverty is a serious societal concern which is receiving more and more attention these days. Energy poverty appears at all levels of the political system and affects households in small villages of European Member States as well as households in London and Paris. 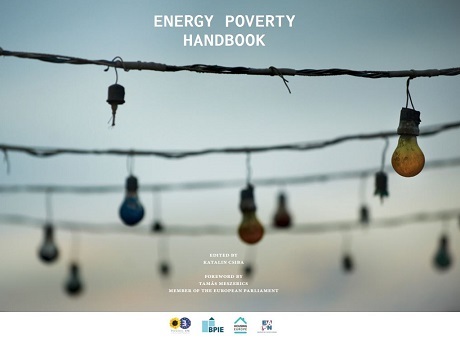 The Energy Poverty Handbook is a project with the aim of pushing energy poverty higher up on the political agenda. The handbook is intended to serve policy makers and their staff in finding new ways of tackling this complex issue as well as a tool for non-governmental actors, activists, journalists, business professionals, academics, students in social sciences and any concerned individual. Each article in the handbook is written by an expert author or organisation and presents one aspect of energy poverty in a descriptive and easily digestible fashion. At the end of each paper the reader will find an excessive and recent bibliography for further research. The articles express the latest findings and recommendations of the authors based on their experience and knowledge. The chapter titled “Member State level regulation related to energy poverty and vulnerable consumers” is written by UCL-Energy Senior research associate Steve Pye, with Audrey Dobbins, from the University of Stuttgart. It is largely based on research undertaken as part of the INSIGHT_E project, an independent research consortium supporting DG Energy of the European Commission. As a contributor to the handbook, Steve said: “Energy poverty is gaining increasing recognition by the European Commission, who are now funding the setting up of an Energy Poverty Observatory to support decision making in this area. It is hoped that this handbook will prove a useful resource for EU Parliamentarians and other European stakeholders, to help understand the distinctive challenges of energy poverty across Member States, and the range of possible solutions in the areas of social policy and energy policy”. There will be an official launch for the Energy Poverty Handbook on 29 November at the European Parliament. Registration to attend the book launch is now open.